The sandwich. Sometimes simple. Other times complex. But always full of potential. With a multitude of meats, cheeses, condiments and breads to choose from, the possibilities can verge on overwhelming. Making it tempting to slap a sandwich together with reckless abandon. But building a sandwich masterpiece is simpler than you might think. It’s all in the layering. Stacking strategically helps magnify flavor, develop texture and stave off sogginess to create a structurally sound yet delicious sandwich. Let’s see how it’s done. This is your foundation, so choose wisely. It will affect the taste, texture and sogginess of your sandwich. Some are like the croissant - light and fluffy with buttery undertones. While others are more like Ciabatta - thicker with a crackly, crispy crust and slightly tangy taste. To stave off sogginess, remember this: the moister the fillings, the drier and denser the bread should be. Flour tortillas and pitas are good substitutes for dry, dense breads. 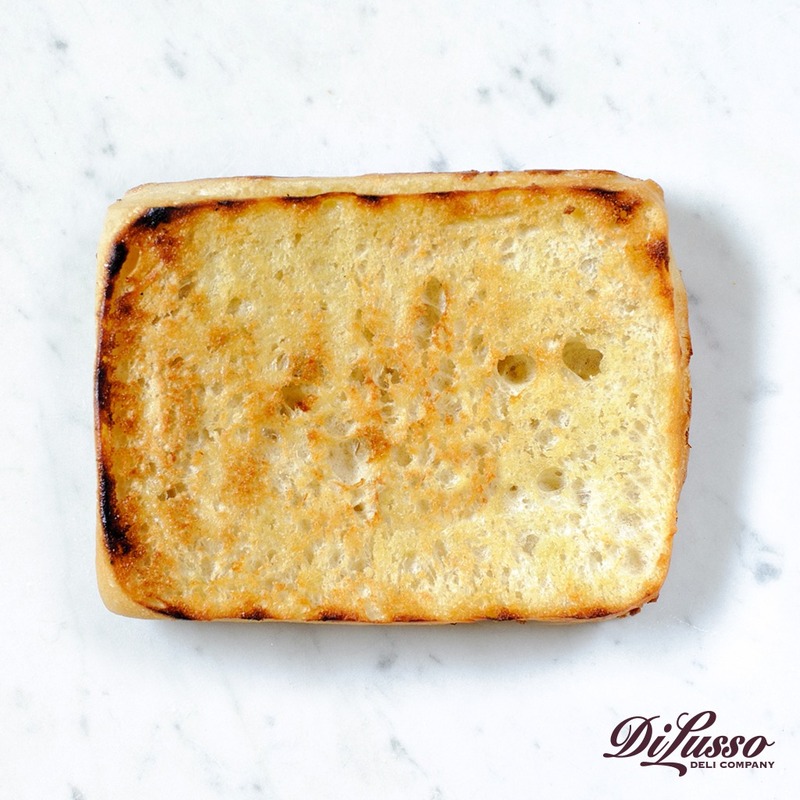 Toasting can also help add some structural support and revive stale bread. Just be sure to toast lightly so the bread is still slightly soft in the middle. These are your second line of defense against sogginess. Smear them to the edges of both bread slices to create a seal against moist sandwich fillings like tomatoes. Spreads also add a layer of silky texture and really know how to pull out the flavors of your other ingredients. So think about how they might taste with your other fillings. chipotle mustard adds a little heat while barbeque sauce adds a little sweet. For savory notes, try something like our sun dried tomato aioli, basil aioli or red pepper hummus. When working with dry sausages such as our prosciutto and hard salami, it’s best to have them sliced thin at your deli counter (1-2 thickness) so there’s balance between the meat’s robust spices and the flavors of other ingredients. To hit the sweet spot of flavor and texture for beef, chicken, ham and turkey, have them sliced at a 3-4 thickness. If you’re making something like a chicken salad sandwich that requires Dicing, have it sliced at a 5-7 thickness so it’s easy to cube. Cheese sliced at a 1-2 thickness is most versatile. You can use different varieties on the same sandwich without overpowering other flavors. Layering multiple thin cheese slices into warm sandwiches works especially well because they melt more evenly. As you decide what meats and cheeses to use, consider playing with contrasting flavors for a well-rounded sandwich. 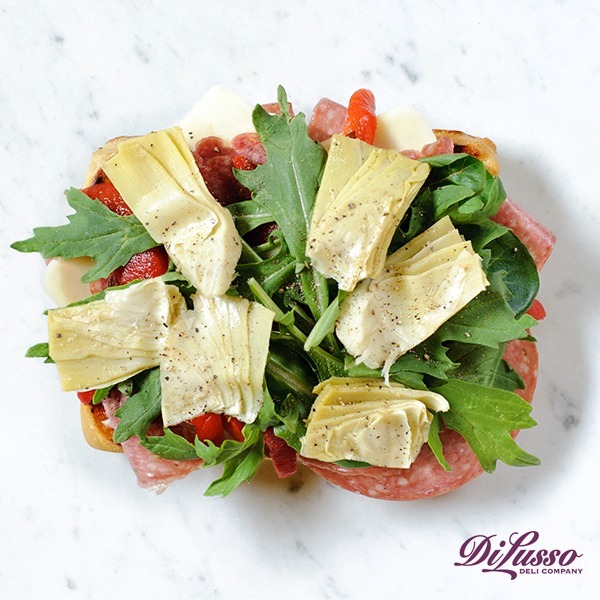 Try pairing peppery our sopressata with mild provolone, or our bold pepper jack cheese with golden brown turkey breast. Here’s where you can really start to play with flavors and textures. Add pickled onions for a spicy-sweet bite. Toss in chips for a salty crunch. Layer in roasted red peppers for a savory yet garlicky touch. But avoid putting two slick ingredients (like avocado and cucumbers) on top of each other because they’re likely to slip right out. Layer something with more texture, like baby arugula, between them for stability. Cutting your fillings into thin strips or bite-sized pieces also helps keep them neatly tucked inside your sandwich. This makes them easier to bite through and less likely slide out midbite. To get ultra thin slices, try using a mandolin. 1. Spread a thin layer of butter on both bread slices. The fat in the butter will help wick away excess moisture to keep your bread fresh and plump. 2. Make your sandwich using a dense, crusty bread and let it soak up the delicious flavors from your fillings. 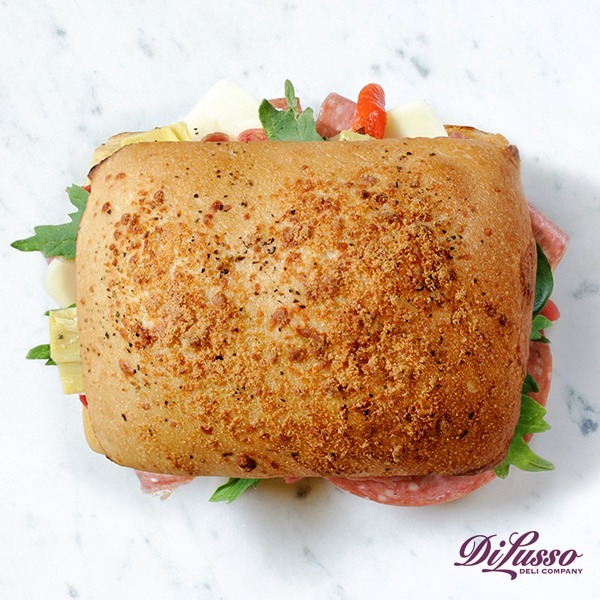 Like you would for a Muffaletta. And now, the best part. 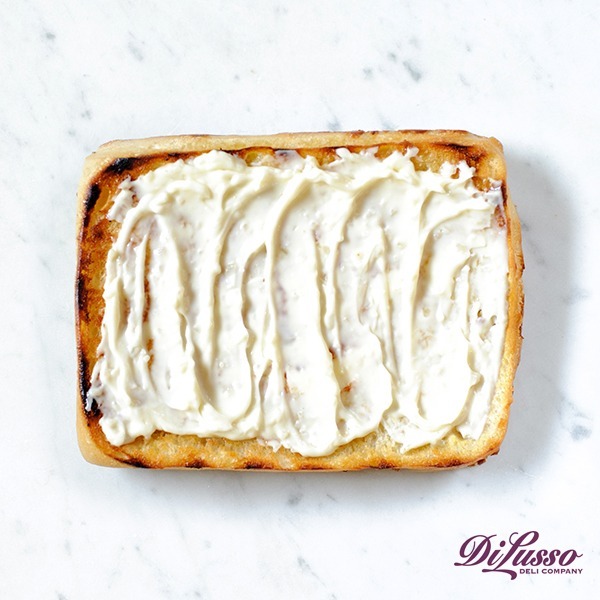 This is when you get to revel in the masterpiece you lovingly crafted from the bread all the way up to the fillings. Savoring the blending of flavors. Appreciating the varied textures. Enjoy!